With a win within sniffing distance on Monday, India captain Virat Kohli was seen egging on the 12,000-odd turnout on the penultimate day of Indias second cricket Test against New Zealand at the Eden Gardens where the hosts sealed the series with a 178-run triumph.Quizzed about his action later at the post-match media meet, the dashing right-hander said he used his experience overseas when the home crowd used to get behind the bowler to create an intimidating atmosphere for the batsman to do the same here. "I think it makes a massive difference. We experience that when you go to Australia, England, South Africa, they get a couple of wickets and the crowd gets really loud and as a batsman you understand that creates a lot of pressure. ""So I just try to think how you would feel as a batsman, when the ball is reverse swinging and the crowd is going mad behind a bowler who is warm and willing to take wickets. 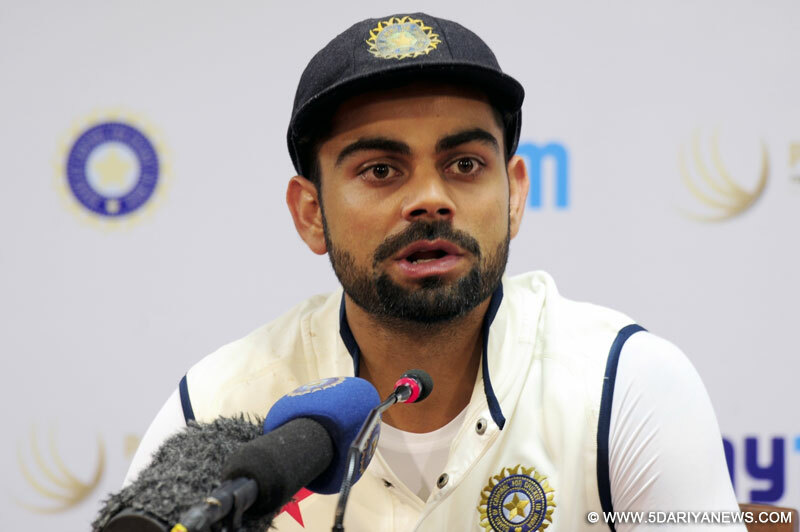 We were able to pick up two-three wickets because of that," Kohli said. "The crowds also love it, you engage them for the betterment of the team. Shami would have bowled three overs but he fed off the energy and he bowled 12 more balls for the team. We would have been waking up at 6:30 again had it not happened," he said smiling.Just after the match ended, Kohli thanked the crowd for the last three wickets India picked up. "More than the bowlers, the crowd helped us pick up those wickets. The energy was outstanding. "For someone like Shami running in, he knew people will be cheering for the country, cheering for him. It makes a massive difference in the bowler's mindset and that's why I got the extra urge to ask these people to get behind the team and obviously put the pressure on the new batsman."